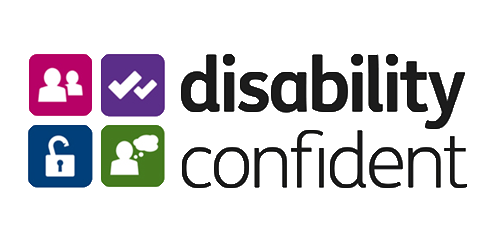 Disability Confident is about helping employees to fulfil their potential and contribute fully to the success of of businesses, organisations and employers. By joining the scheme, you can make the most of the talents that disabled people can bring to your workplace, and play a part in challenging attitudes towards disability too. and, as you progress through them, you’ll first make a commitment, then complete a self-assessment, about gradual actions you can take to increase opportunities and remove barriers for people with disabilities, including long-term mental health conditions. You’ll receive a certificate and recognition materials that you can use on your website and other places. This page on the UK Government website summarises the whole scheme, including what’s involved at each level and lots of examples of the benefits. It has links to the sign-up form and all the materials you’ll need. Disability Confident is a scheme that supports employers to make the most of the talents disabled people can bring.